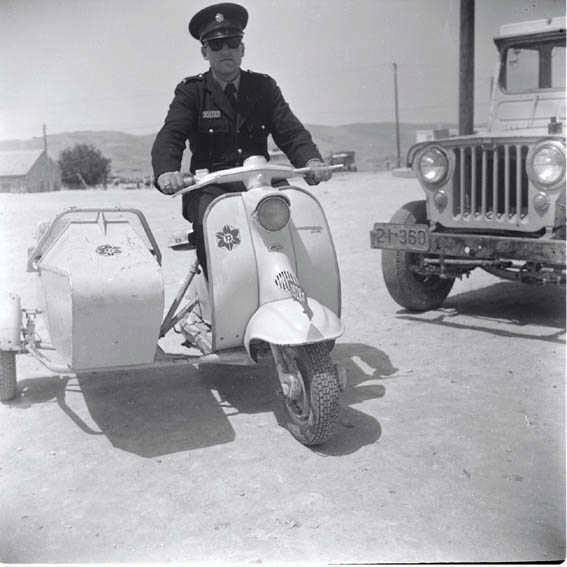 Found this great shot of an Israeli Police scooter with sidecar. I’m digging through my archive shots, as I think I have a line up of Israel Police on TV 2’s… without sidecars… somewhere. If any Lambretta enthusiasts over in the holy land can help me out with any more information or pics, I’d appreciate it. This entry was posted in Lambretta Imagery, Scooters, Sidecar Combinations and tagged Israel, Israel Police, Israeli Police, Lambretta, Middle East, Old Bill, police, scooter, Series 1, sidecar by crocodilejock. Bookmark the permalink.